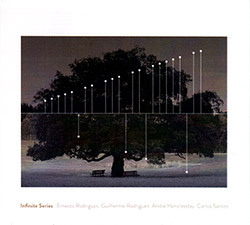 "3 Phases", or 3 aspects of the approach that violist Ernesto Rodrigues applies to improvisation, in 3 different groupings over 3 different concerts at O'Culto da Ajuda, in Lisbon, here in an electroacoustic ensemble with Miguel Mira, Guilherme Rodrigues, Joao Silva, Eduardo Chagas, Paulo Curado, Noel Taylor, Miguel Almeida, Andre Holzer, Andre Hencleeday, Carlos Santos, and Joao Valinho. 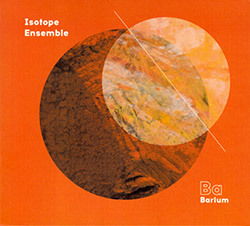 Creative Sources collective Isotope Ensemble led by Ernesto Rodrigues performed with a large electroacoustic group continues their investigation of isotopes, focusing on Lanthanum, a soft metal used in flints, through subtly-developing interplay the band, moving as one body, reaching several highly controlled periods of passionate improvisation, contrasting with beautifully serene sections; impressive. 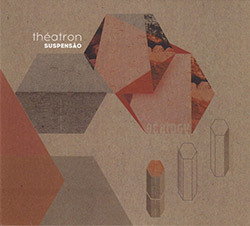 Large scale improvisation of the most subtle nature from Portugal's Isotope Ensemble led by Ernesto Rodrigues, 17 musicians slowly unfolding this beautiful work of consonance and dissonance dedicated to element atomic number 56, recording live at O'Culto da Ajuda in Lisbon with instrumentation including acoustic reeds, strings, brass, percussion, and electronics. 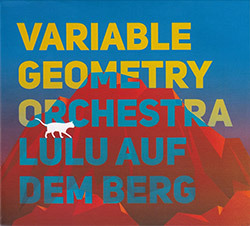 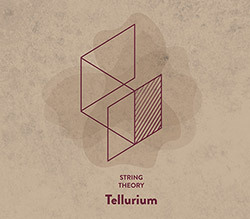 This supergroup of strings--16 musicians on violins, viola, cellos, double basses, piano, psaltery, zither, and guitar--in an intensely restrained collective improvisation recorded live at O'Culto da Ajuda, Lisbon, Portugal in 2017, as String Theory's 4th album continues their title themes from the physical universe named here for the rare metalloid "Tellurium". 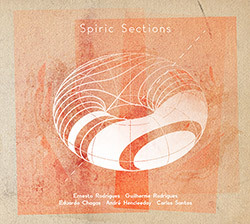 The affect of Carlos Santos' electronics and recordings are the foundation of this Portuguese quintet's improvisations, creating an environment over which Ernesto & Guilherme Rodrigues on viola & cello, Eduardo Chagas on trombone, and Andre Hencleeday add subtle gestures of unusual approaches to their instruments, in a mysterious album of lowercase improv. 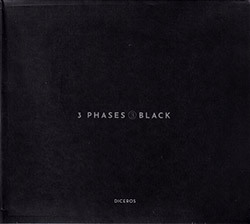 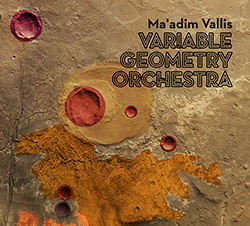 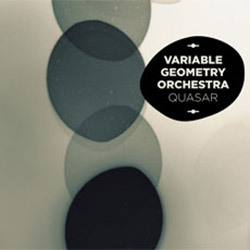 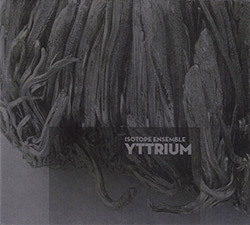 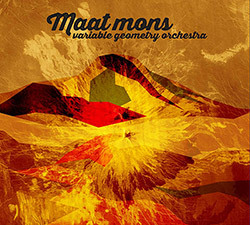 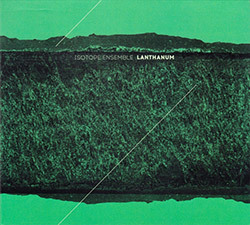 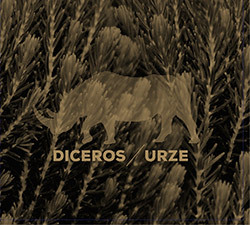 The third album on Creative Sources for this 10-piece ensemble with 5 string players, piano, sax, trombone, electronics and percussion, freely improvising in an extended work themed for the Greek theological, philosophical, and scientific term typically translated as nature or physics, in a rich tapestry of meticulous detail and profoundly subtle communication. 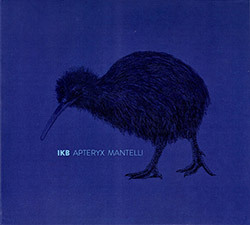 IKB continue their series of albums graced with taxonomic latin names for animals, here with the North Island brown kiwi bird, as the string- and wind-heavy electroacoustic ensemble led by violist Ernesto Rodrigues present this extended improvisation of subtle motion and understated complexity live at O'Culto da Ajuda, in Lisbon, Portugal in 2017. 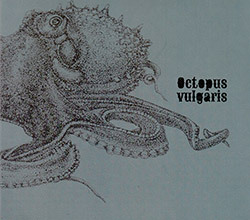 Correctly configured, the Portugese ensemble Octopus is an octet, and though named after the most common of the breed, this 8-tentacled orchestration of strings, flute, trumpet, piano, guitar, electronics and percussion, all using extended techniques, slides deftly and with incredible restraint through a large, detailed dark-water work of electroacoustic improvisation. 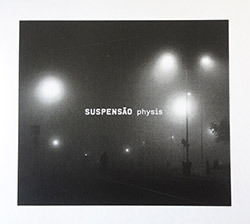 An incredible example of Creative Sources/Ernesto Rodrigues' large electroacoustic ensembles, blending acoustic and electronic sources in slow moving and subtle improvised works of a large scale, here with 12 musicians layering string, brass, keys, percussion, synth and computer into a mysterious harmonic and hallucinatory convergence of powerful intention. 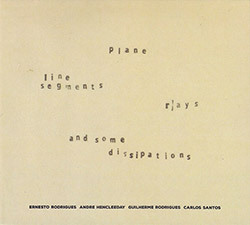 An extended improvisation of mostly quiet, occasionally cantankerous, but always intriguing free music, primarily acoustic playing with a strong cast of string players, plus reeds, keys, and computer, creating suspenseful music of great tension and impressive restraint as the sound evolves in gradations and facets of sound. 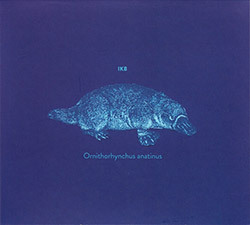 Portugal's IKB Ensemble is an electracoustic improvising ensemble with a strong string and wind section, balanced with electric guitar, electronics, and percussion, each album focusing on an object--an art work, Dracaena Draco (Dragon Tree), Chelonoidis Nigra (Giant Tortoise)--and here taking on the Ornithorhynchus Anatinus, or platypus, in 3 fascinating movements.